OK, I actually feel a little bit guilty posting this as one of my blog recipes because it is that easy and uses a little bit of a cheat. But having said that – if you don’t already make this for your family, then do yourself a a favor and add it to your ‘go to weekday meal list’ asap. 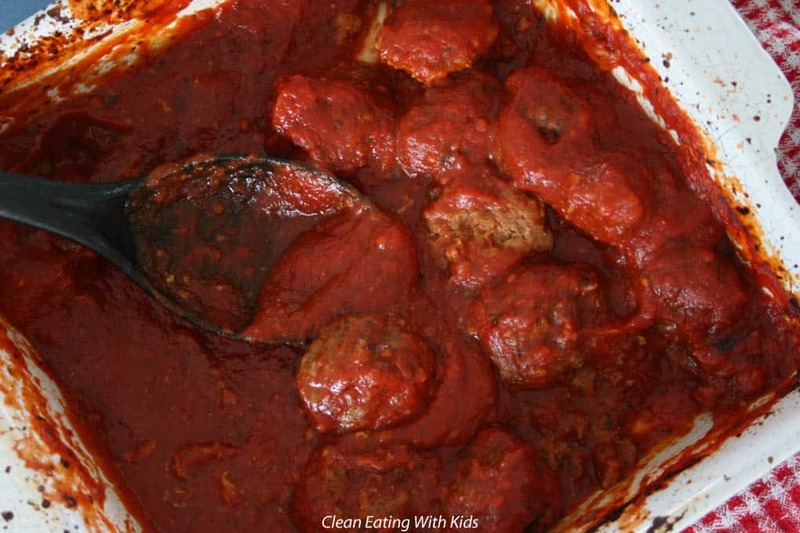 These Italian Meatballs must be the best Dump and Bake Recipe I’ve ever made. Cooking doesn’t always have to be hard. There is no way I would be able to find the time to cook a fancy dinner every night for my family. And yet I still cook at home every night. My priority is always to serve my family food that I know is good for them, and the only way to do this is to know what’s going into the food you make. Cooking at home let’s me do that. But Home cooked meals take time. And let me assure you, both of those things are limited so they really do influence the type of dinners I serve up. 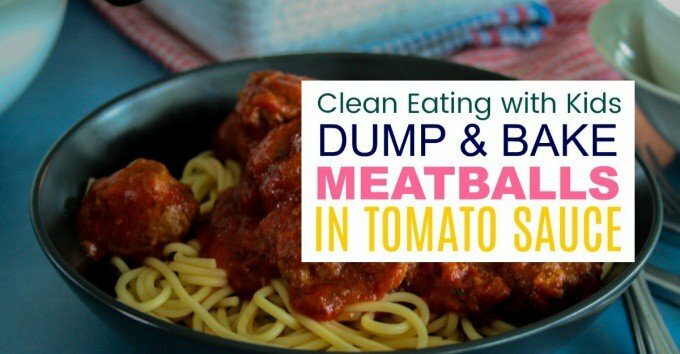 This Dump and Bake Italian Meatballs Recipe ticks both boxes. It’s super quick to prep and one of the most budget friendly recipes you can make for a crowd. It also happens to be one of my family’s favorite dinners. It’s quick and easy, and delicious. You can get it in the oven in around 10 min flat and if you are up for it you can hide countless vegetables within it. I cheat a bit and I use store bought organic tomato pasta sauce. Most Supermarkets now stock this option. Just remember to read through the ingredients: We want to see tomato, onion, garlic, herbs (that’s it!). Take the time to find a brand that you like and then stock up on it. If you cant find a good quality tomato pasta sauce then browse through the canned tomato aisle. There are plenty of canned organic tomato options. I try and dirty only one pan because if I’m making this meal then odds are I’m in a hurry and washing up is not high on my to do list. If needed, use a disposable aluminium baking tray and then clean up is a breeze. For the meatballs you can use chicken or beef mince. I am working on a Vegetarian option that the kids will actually eat, but no luck so far. I’ll update this recipe when I figure that one out. If you have a great Veggie ‘meat’balls recipes, please let me know. 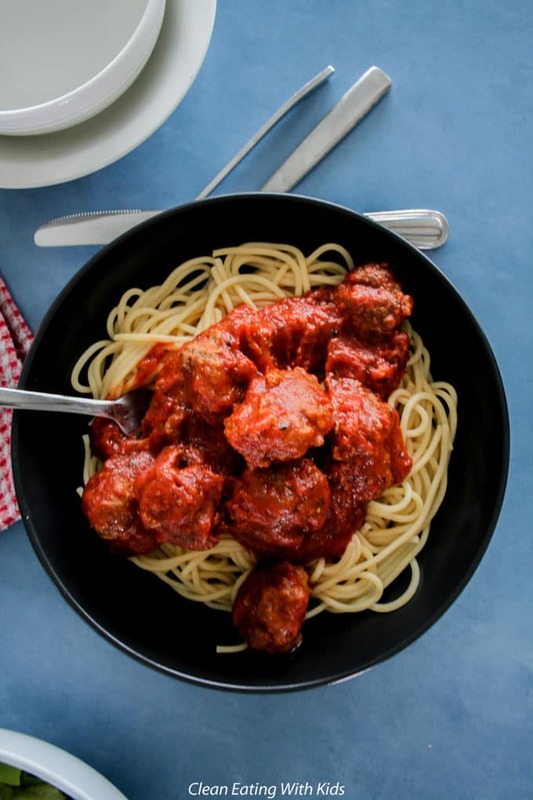 Meatballs: make up your meatball mix and shape into balls. 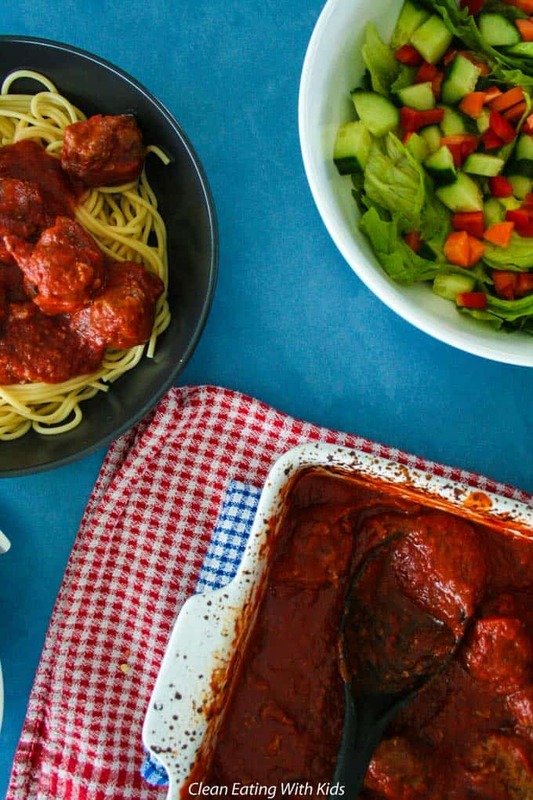 Put it together: Position your meatballs in your tray and pour sauce and grated veg on top. Pop it in the oven to cook. 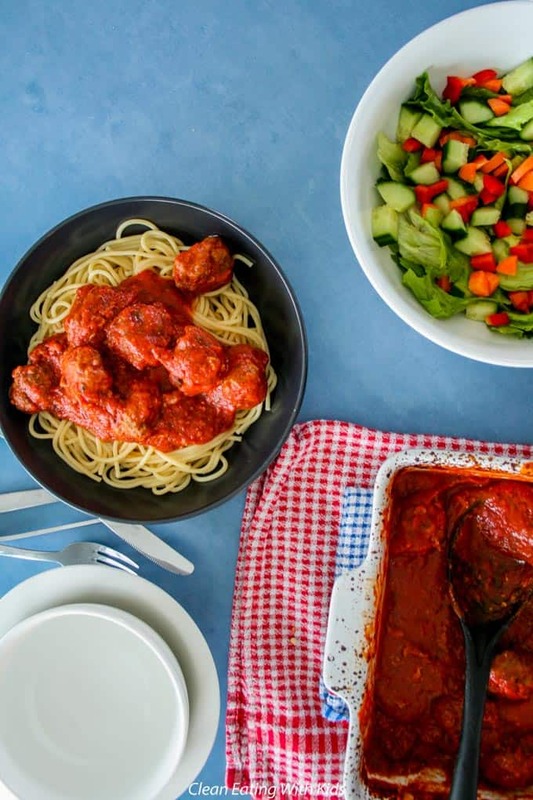 One tray meal that you can pop in the oven even on the busiest of nights. Beautiful wholesome, hot family meal. Serve with Wholegrain pasta. 500g minced beef OR chicken. Pre heat oven to 180 degrees Celsius (or 350 degrees Fahrenheit). 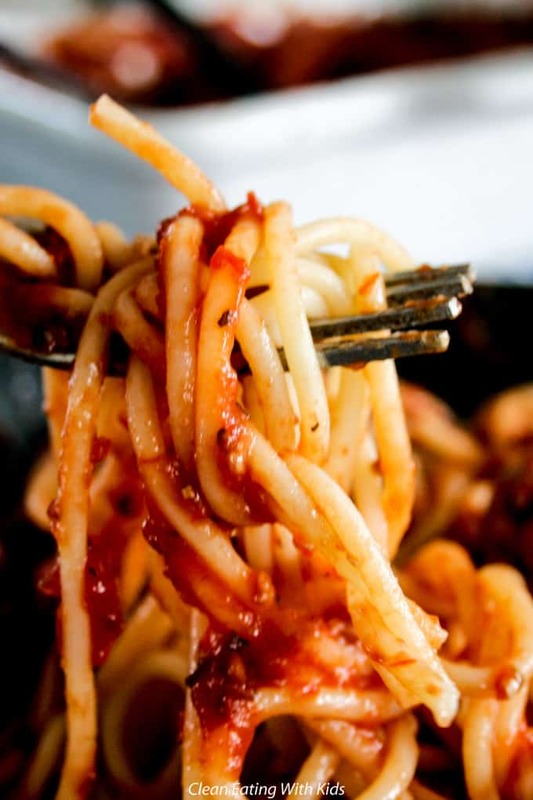 In a large oven proof dish, pour both bottles of tomato pasta sauce, grated veggies. Set aside ready for meatballs. Meatballs: mix together minced meat, raw egg, tomato puree, salt and flour. Form tablespoon sized meat balls. Put the RAW meat balls into the sauce. Do not stir as the meatballs will break apart. 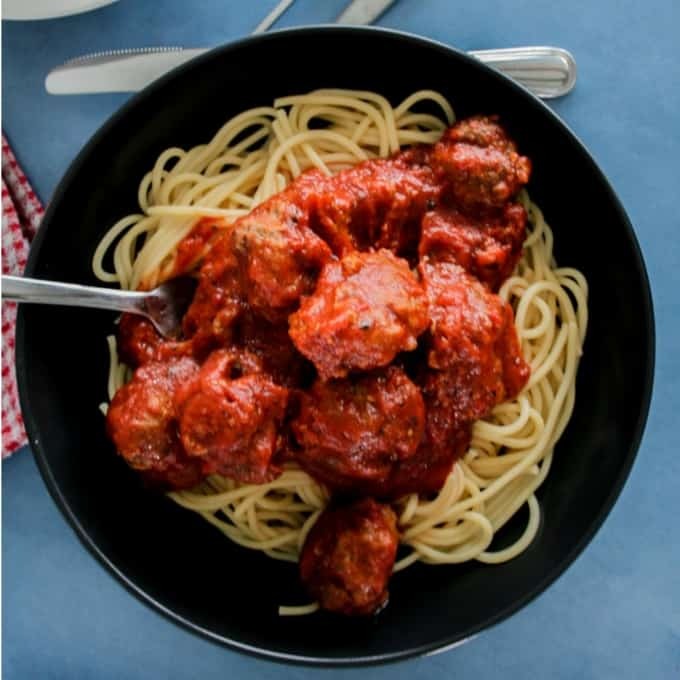 Add all meatballs to sauce – looks a bit odd, but trust me here, it works! Bake UNCOVERED in oven for 30-40 min. Meatballs will be firm, browned slightly on top & sauce will be a thicker, rich red colour. Spoon meatballs and sauce onto cooked wholemeal pasta. 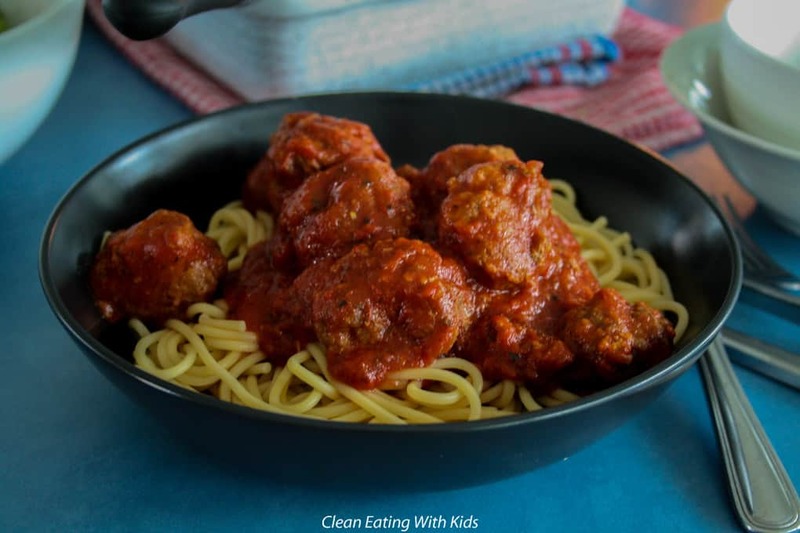 Kids won’t even know that they are eating tomato, carrots and zucchini – all in one dish!Serve with a fresh salad on the side.